Every Christmas, the international crystal jewellery and accessories marker Swarovski set up Christmas trees around the world. 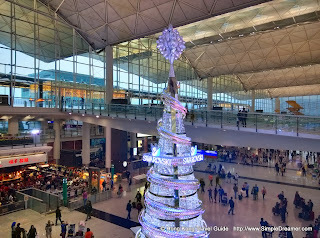 This Christmas, Swarovski brought a 15m tall Christmas tree to the Hong Kong International Airport! 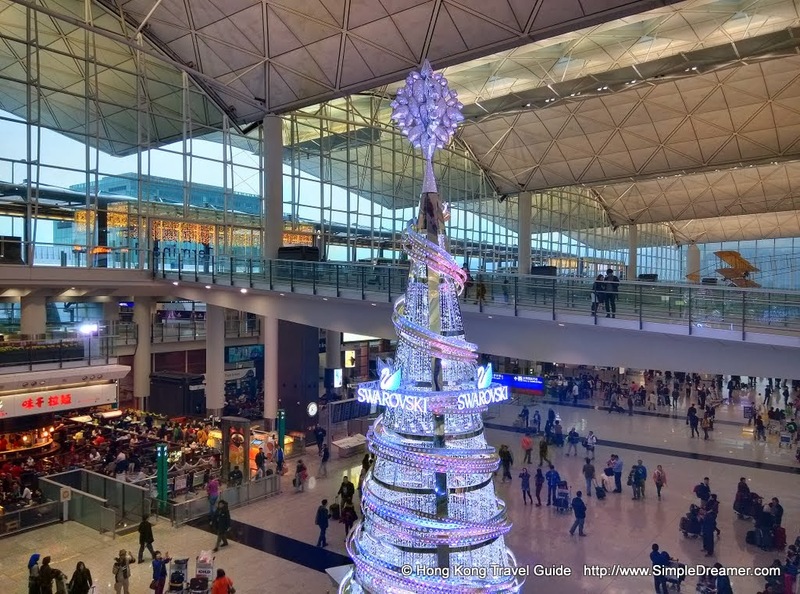 Inspired by the design of a bracelet, this Swarovski crystal Christmas tree introduced a doze of special charm to the Hong Kong International Airport. 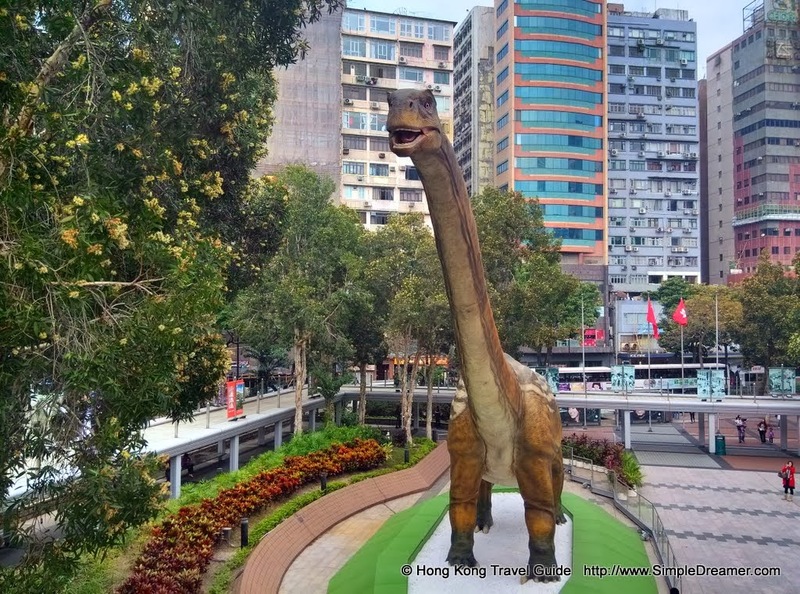 It is a special gift for all Hong Kong visitors as it is perfectly located in between the two A & B arrival halls. 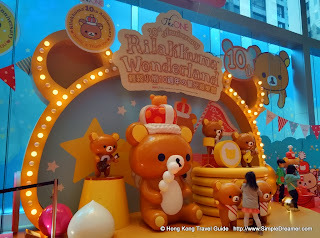 Located on Nathan Road of Tsim Sha Tsui district, iSQUARE is a famous shopping mall in Hong Kong. In the past, iSQUARE work with sponsors to put on several eye-catching displays during the Christmas period. It was the giant Chupa Chups Machine in 2010 and the huge Ferrero Rocher Christmas Tree in 2012. This year, it is the Gingerman and Gingerbread house at iSQUARE's front door. In side the shopping mall itself, i.e. the non-sponsored area, iSQUARE do spend a bit of effort to uplift the Christmas spirit. This year, the theme is related to mail, physical mail. 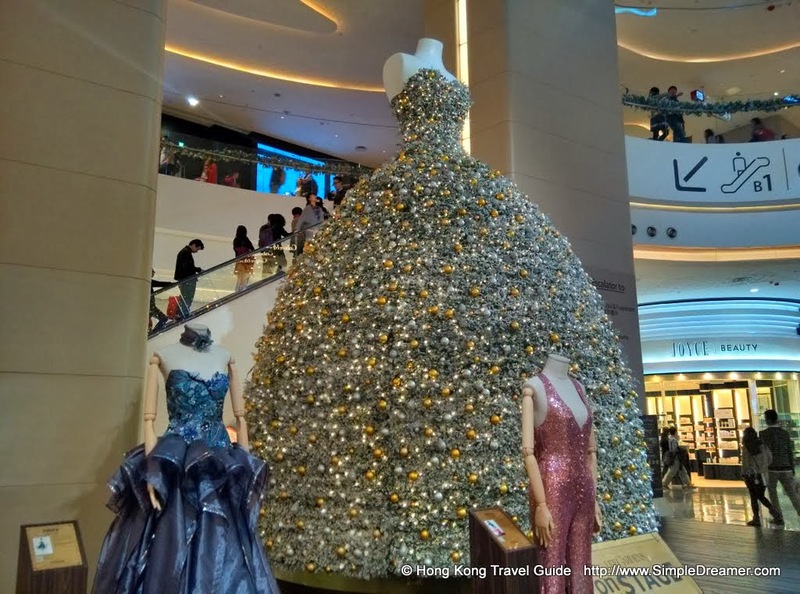 Hysan Place shopping center at Causeway Bay is hosting an extraordinary fashion show this Christmas. All dresses put under the spot light are one of their kind. Hugh evening gowns are on display at the atrium of Hysan Place. The center piece is a six meters fashion Christmas tree. It is a silver gown constructed of Christmas decorations. Forget about XXL or XXXXXL, this dress was literally designed for giants. 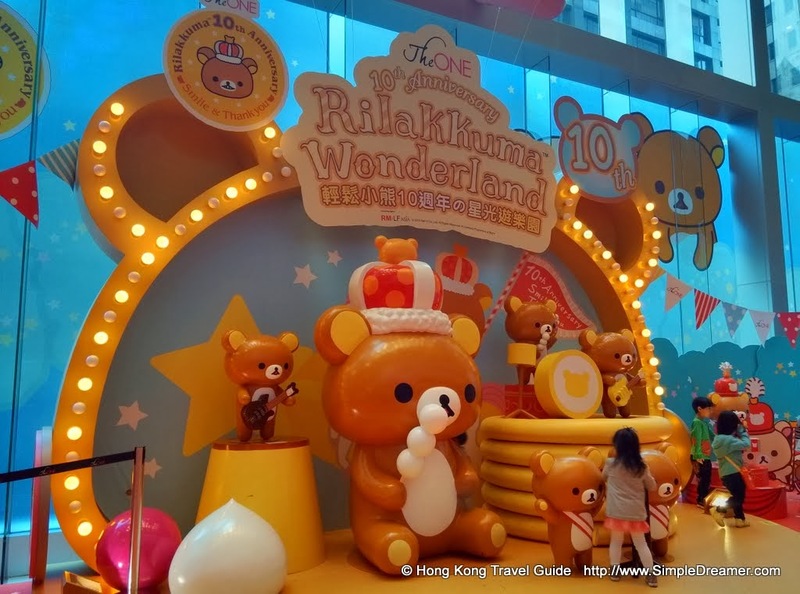 We have reported so many exhibitions in Hong Kong and are still fascinated by the obsessions of huge displays here in Hong Kong. The Exchange Square in home to the world famous Hong Kong Stock Exchange. 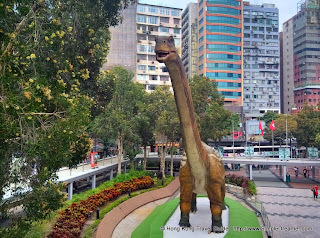 It is located at Hong Kong's business district, Central. Although Exchange Square is primarily office building and not a fascinated shopping mall like the near by IFC, it still put on Christmas Trees and lights during holiday seasons. Three years ago we checked out the Christmas Tree at the Exchange Square that was decorated with yellow and red decorations. This year, the Exchange Square went to an illuminated white Christmas Tree. It's surely bright and lights up our hearts!